Acorn Cottage in Bircher Common, near Leominster sleeps 2 people. Acorn Cottage near Leominster is situated on the edge of Bircher Common, in an idyllic and tranquil setting, within the grounds of the owner’s home and small holding. Dating back to the 16th century, Acorn Cottage has been renovated to offer a cosy retreat, away from life’s busy hustles and bustles with wonderful walks from the doorstep, to relax and unwind. 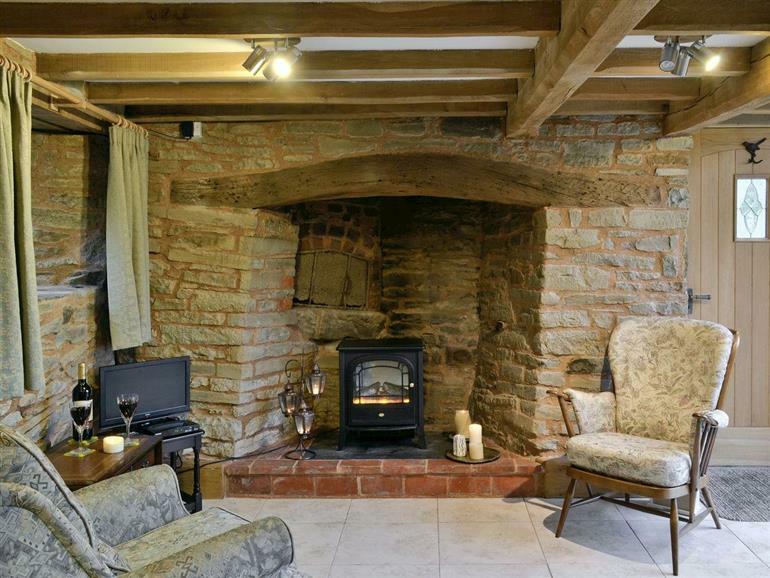 This detached cottage is located between the market towns of Ludlow, popular for its food festivals and Leominster with its antique and vintage shops, often seen on TV shows such as Bargain Hunt and the Antiques Roadshow. There are many historic places of interest with castles and National Trust houses. The 40-mile circular Black and White Village Trail, taking in the quaint and historic villages, is also popular. If you can’t tear yourself away from the cottage, enjoy your own private garden or wander the 7-acre grounds, which the owner’s are happy for guests to enjoy. The shop, pub and restaurant are 1½ miles from Acorn Cottage near Leominster. Ground floor: Living/dining room with patio doors, beams and tiled floor/kitchen with beams and tiled floor. Shower room with toilet. First floor: 1 double bedroom leading to seating area. Electric wood burner in living room included. Electric central heating (underfloor on ground floor), electricity, bed linen and towels included. Travel cot. Freeview TV. DVD. Wii. Electric cooker. Microwave. Dishwasher. Freezer. Wi-Fi. Large enclosed lawned garden with patio, sitting-out area and furniture. Barbecue. Shared 7-acre landscaped grounds. Parking (2 cars). Cycle store. Welcome pack. Pets welcome - to be kept on a lead in surrounding grounds. No smoking. No children except babes in arms. NB: 1 step in garden. Stream 10 yards. 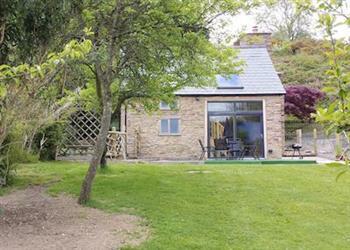 Holidays at Acorn Cottage run from Friday to Friday. Pets allowed at Acorn Cottage. Acorn Cottage is in Herefordshire; should you be on the lookout for a special offer, you can find all the special offers in Herefordshire. It's always worth checking to see what is on offer at the moment. Do you want to holiday near Acorn Cottage (W44113), you can see other cottages within 25 miles of Acorn Cottage; have a look to find your perfect holiday location.